by transforming the lives of single parents and their families. 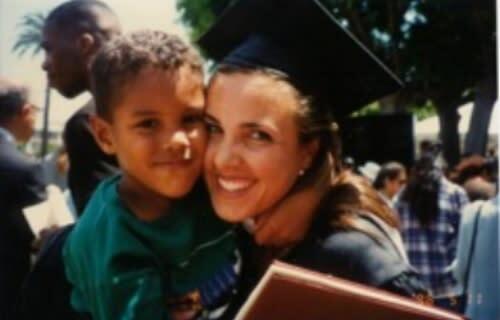 I established Raise the Barr to help break the cycle of poverty for low-income single-parent families by helping single parents complete their post-secondary education. That means Raise the Barr provides school tuition, helps pay childcare costs, prepares children for success in school, and provides emergency grants for single parents in Minnesota and California. We’ve been working with Jeremiah Program since the beginning. I’ve made it a priority to visit the children at Jeremiah Program once a month during the NFL season. That’s why, this season I’m taking the field to make my tackles count for more! I’m personally pledging $100 for every tackle I have this season to transform the lives of single parents and their families, and I’m asking you to join me and make your pledge today. With your pledges, every tackle means more families’ lives transformed from poverty to prosperity. 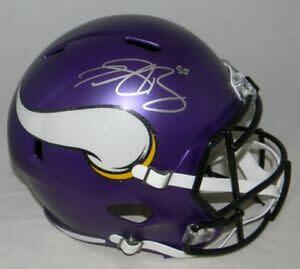 Anyon e whose total pledge or donation equals at least $55 will be entered to win a signed Anthony Barr Helmet and a thank you shout out from me on twitter and Instagram. All of the funds raised from this campaign will be split between Raise the Barr and Jeremiah Program and our combined work to transform lives two generations at a time. No pledge or donation is too small or too big. Every little bit helps provide a lifetime of opportunities for single parents and their families.